Imagine the Texas Blues of early ZZ Top mixed with the live energy of fellow Irishman Rory Gallagher and you are some way on your way to describing Ireland‘s blues rock power trio of Crow Black Chicken. The long bearded Trio from Ireland‘s Deep South often draw comparisons to their Texas counterparts but when they took to the stage before ZZ Top in 2015 they were determined to set down a marker that they were creating a sound all of their own. Coming up on their 10 year anniversary this is the bands 5th album and captures a band at the height of their musical career. Recorded over 2 live shows in Ireland South Roman Street captures 74 minutes of raw unpolished rock and roll music that takes you on a rollercoaster of sound, from the frenetic rock sounds of ‘Bleedin‘ to the subtle tones of ie Awake‘. 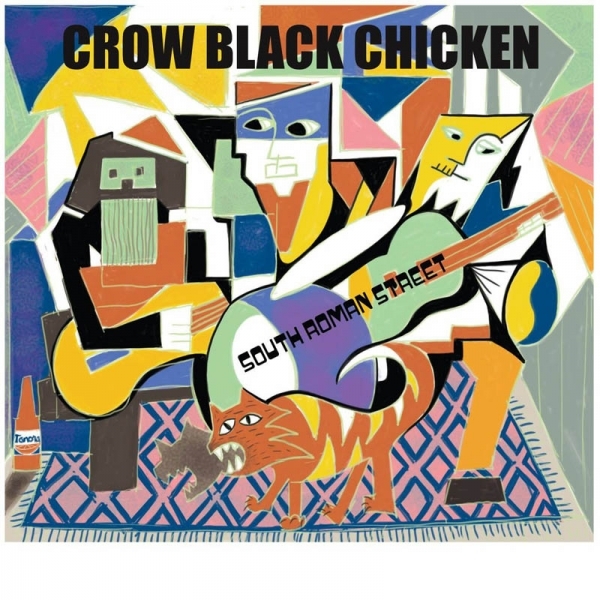 With tracks from all their studio albums this is the next best thing to seeing the Crow Black Chicken Live.